In the second novel in the Pop Larkin series, the Larkin family descends upon Brittany in France. Like fish out of water, they find out things don't quite turn out their way: the weather is less than ideal, the food is awful and the hotel is in a bad state of repair. But things slowly improve as Pop manages to sweet-talk Mlle. Dupont, Angela Snow and her sister Iris, and Charley and Mariette celebrate their first wedding anniversary. 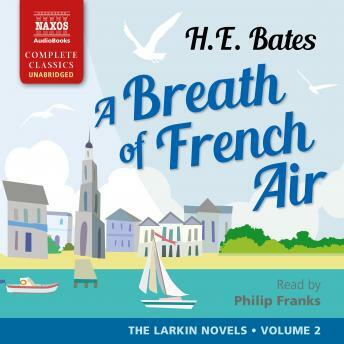 A Breath of French Air is a delightful book full of nostalgia, fun and frivolity.